Steam distribution headers are fabricated out of carbon steel or alloy steel seamless tubes. Customized or tailor made items are offered. 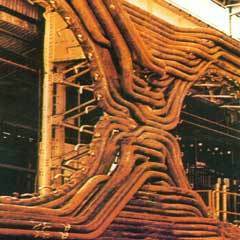 Headers, after fabrication, are stress relieved to make the Steam distribution headers free from stresses. IBR or 3rd party inspection undertaken. Fabricated in seamless carbon steel and ERW materials as per the customer's drawings and specifications. 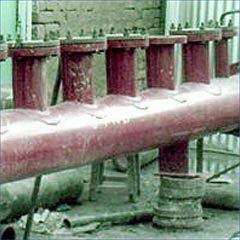 Fabrication of tubes in short radius and over-lapping position is our speciality. Special care is taken for thinning and ovality at short radius bends. BR & 3rd party inspection undertaken. With heavy stocks of raw material, short delivery is offered. Looking for Steam Distribution Headers ?